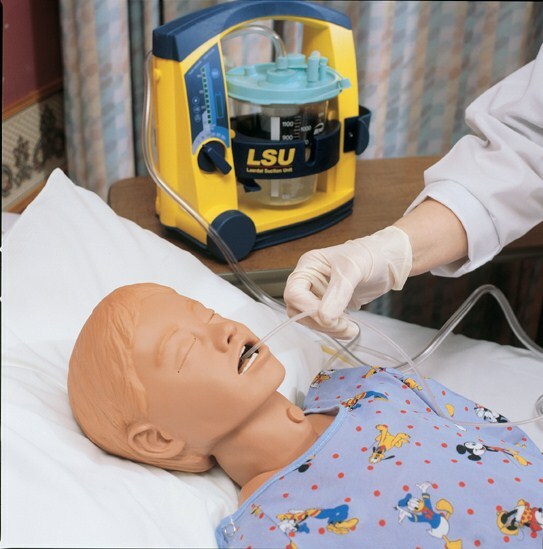 Articulating IV arm allows for practice of IV cannulation, medication administration and site care and maintenance. 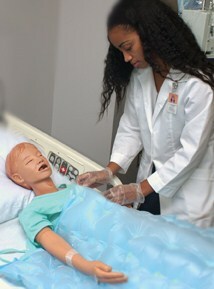 Venipuncture possible in the antecubital fossa and dorsum of the hand. 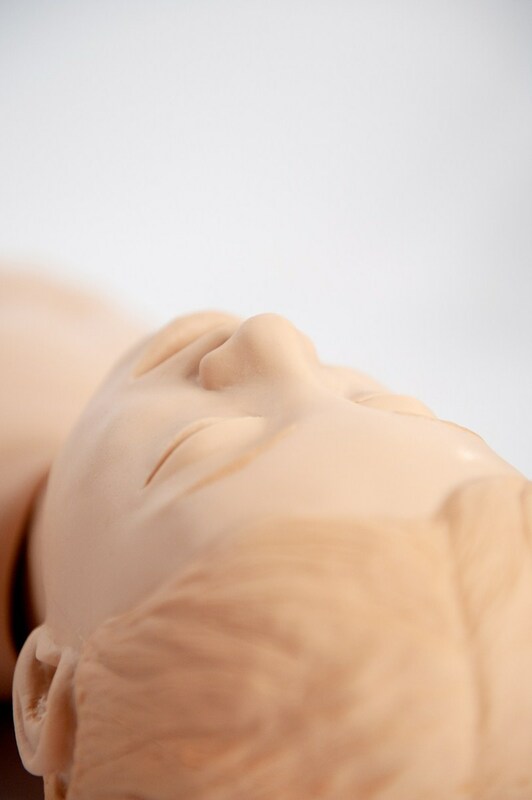 Accessible veins include median, basilic and cephalic. 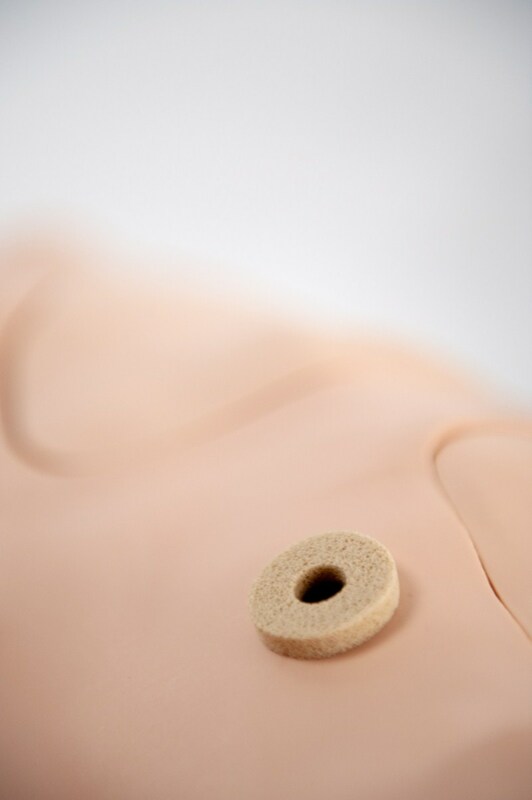 Interchangeable male and female genitalia allow for complete urinary catheterization. Enema procedures may also be performed. 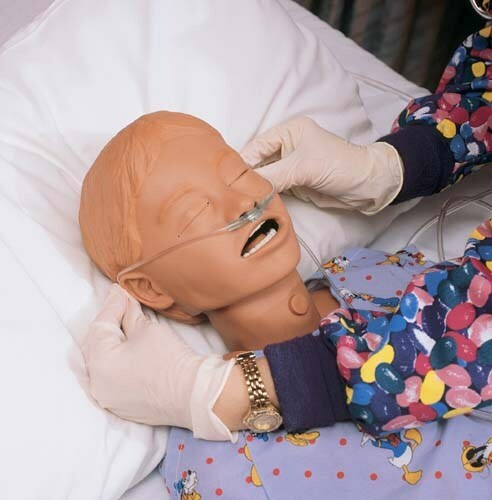 Head with anatomical landmarks, trachea, and esophagus along with simulated lungs and stomach allow the practice of many procedures, including NG, OG, tracheal care and suctioning, and insertion, securing and care of endotracheal tubes. 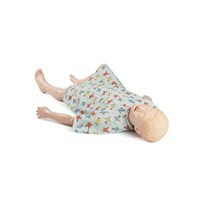 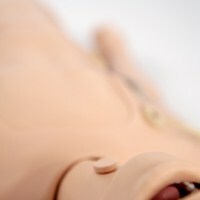 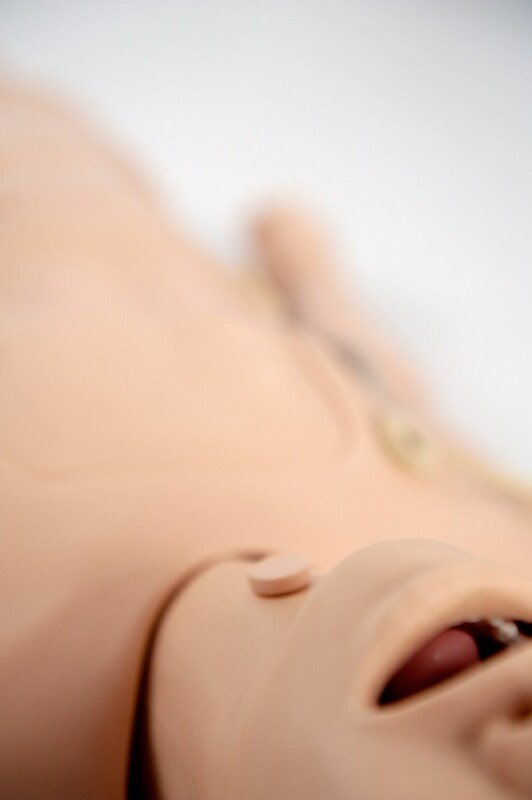 Optional Pediatric Trauma Modules add realism to the training scenario. 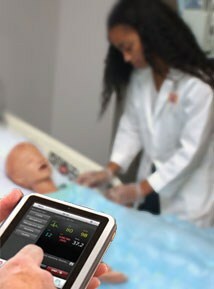 Nursing Kid can be operated via the SimPad System making scenario based training easier than ever before. 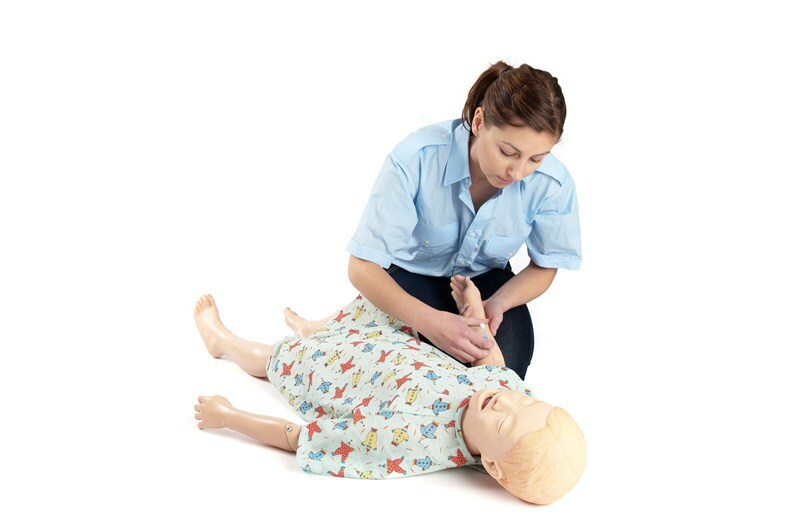 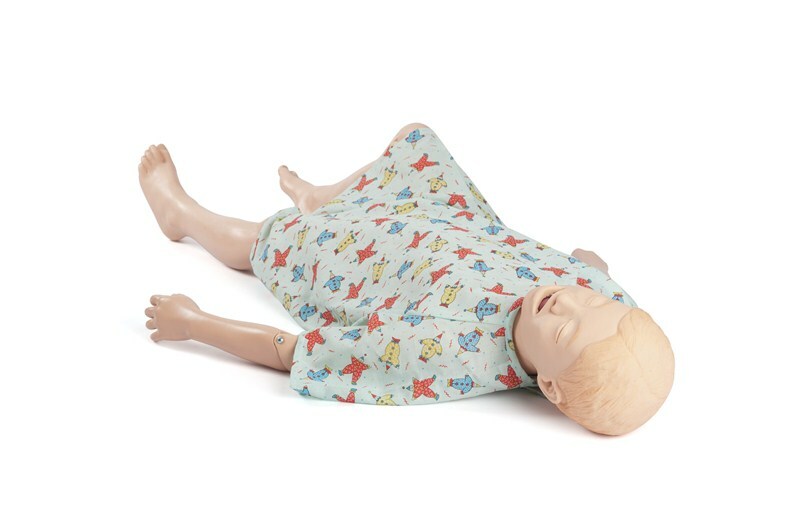 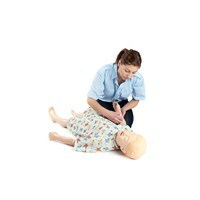 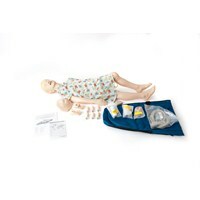 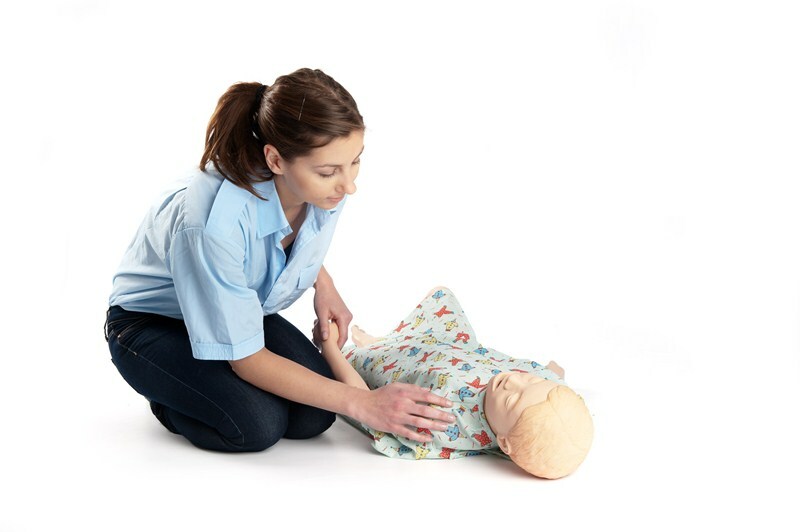 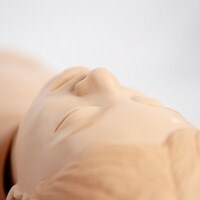 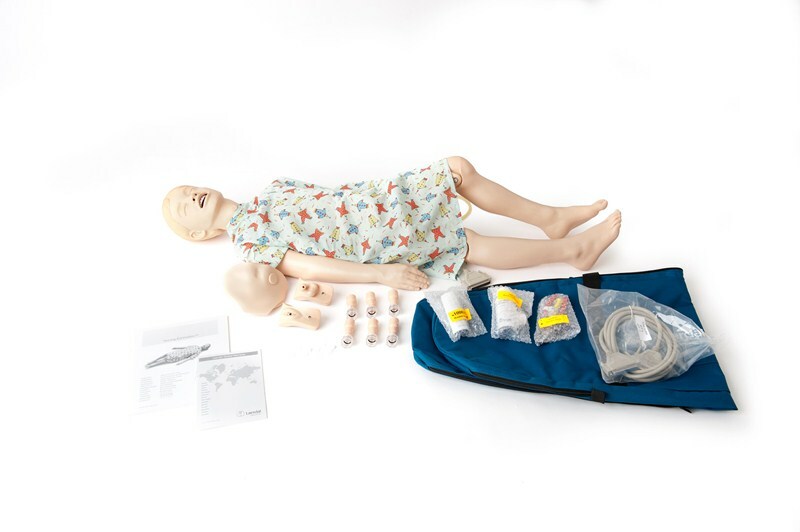 Nursing Kid is a full-body, lifelike manikin realistically representing a six-year old child designed for skill and scenario-based training of a complete range of pediatric care procedures. 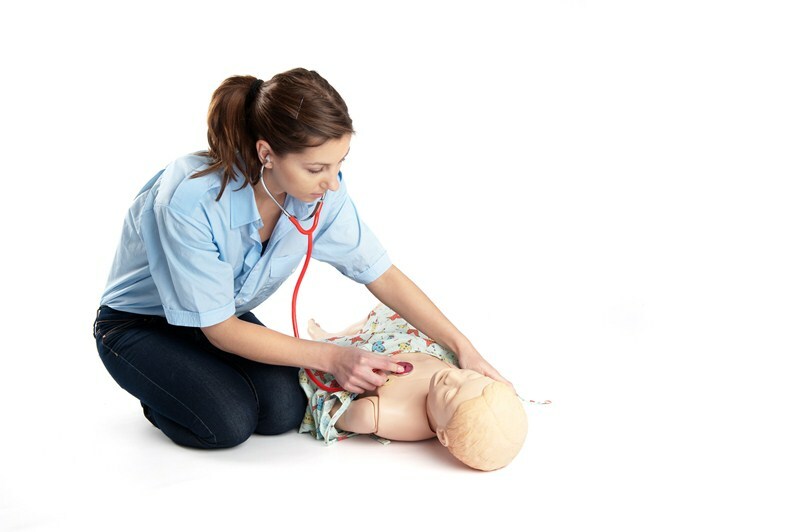 Nursing Kid with SimPad sounds technology allows for auscultation and recognition of normal and abnormal heart, breath and bowel sounds. 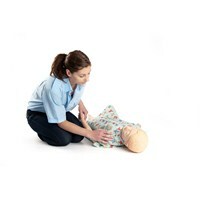 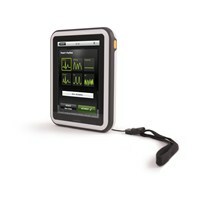 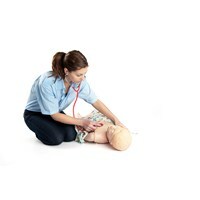 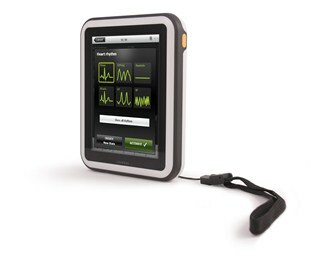 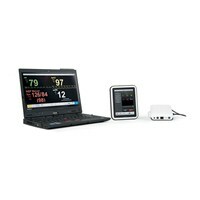 A SimPad PLUS System is required for operation of the Nursing Kid SimPad Capable. 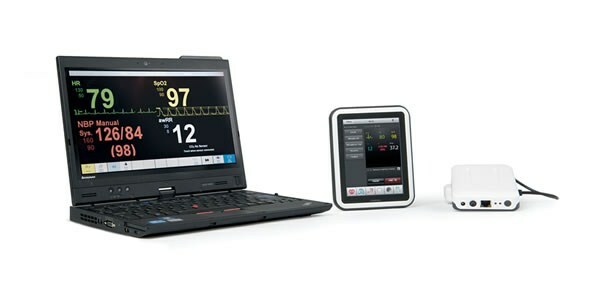 The SimPad PLUS System is sold separately. 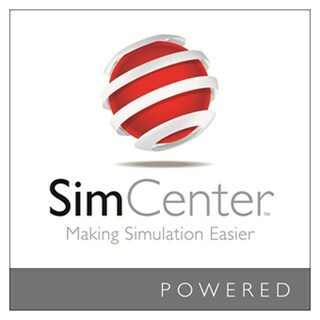 See the SimPad PLUS System page for more information. 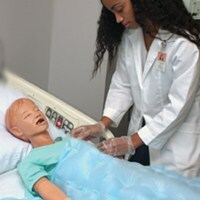 - Lifelike lower leg (right) with simulated tibia for practicing medical and fluid administration through intraosseous infusion.